Commingled recycling bin services for every business! Bottle, can and container recycling bins! If you are focused on the two outcomes – of boosting your business recycling performance and keeping your costs for waste services as low as possible – then commingled waste services are very suitable for you. What is commingled recycling? Commingled recycling bins are basically mixed container recycling. i.e. a wide variety of glass, metal and plastic is acceptable – see below. Commingled recycling signs and bin stickers in Australia are a standard yellow colour – so you know which bin is which. Staff will also be used to separating containers etc from their residential commingled services. ”We provide standard commingled bin collections in three bin sizes – 240 litre wheelie bins – and the larger bins on four wheels – 660 litre and 1100 litre bin sizes. How does commingled recycling work? The commingled waste is taken to a materials recovery facility – where it is separated into various commodities like plastic, metal etc – and is then recycled. Commingled recycling services are suitable for nearly any business – from a cafe or restaurant to a factory or office. As commingled recycling is not subject to a landfill levy in Australia – you will be able to also save money! A win-win. We operate on flexible 30 day agreements – so you never need to sign a long term contract for your mixed recycling bin services with Waster. The easiest and most versatile recycling service! Once you have implemented cardboard recycling services -the next logical step in your recycling program is commingled recycling bins. Commingled waste recycling is available in nearly every area of Australia - and comes in bin sizes to suit your business - from 240 litre wheelie bins up to larger 1100 litre rear lift bins - on four wheels. Commingled bins are colour coded yellow - and can save you considerable costs on dumping in general waste. Commingled recycling will save you money vs general waste. There is no waste levy on container recycling bins - and hence you will save money versus disposing in general waste and landfill. Plus you help the environment! The most versatile recycling bin. Milk and juice cartons. Plastic bottles / containers. Aluminium / steel cans. Glass bottles/ jars. Recyclable packaging. - No plastic bags or plastic wrap. Commingled waste - containers should not be bagged. Plastic bags in the commingled recycling bin will make separation at the plant very difficult. Containers should be directly placed in the bin. Yes, I Know What I Am Looking For - Take Me Straight To The Commingled Recycling Bin Options, Sizes And Price! If you already know that you need to arrange a commingled recycling services for bottles and containers for your business -you will be wanting to know the price and service details. Pricing is very straightforward – a 240 litre bin collected once a week in Sydney costs $15.00+GST per service for scheduled services (as at April 2019). Pricing is provided in our online portal for all metro regions such as Sydney, Melbourne, Brisbane, Canberra, Darwin, Hobart, Newcastle, Wollongong, Adelaide, Geelong and Perth..
Commingled recycling is a very versatile recycling bin option and takes a wide variety of mixed containers (commingled recycling items like bottles, cans etc). This saves you money on general waste (which is subject to a landfill levy). There are no other fees or charges. The service fees includes provision of the commingled recycling bin. We do not charge rentals, site fees, enviro fees etc. We can also provide you with a bin padlock if required – useful if on a busy street etc. After set up – we will confirm service day – the commingled waste bin should be left out for collection the night before (as most trucks run overnight). Despite the ongoing recycling crisis in Australia – commingled recycling bins are still a vital way to boost your recycling and keep costs for waste management as low as possible. CHECK COMMINGLED WASTE BIN PRICES AND BIN SIZES ONLINE RIGHT NOW! 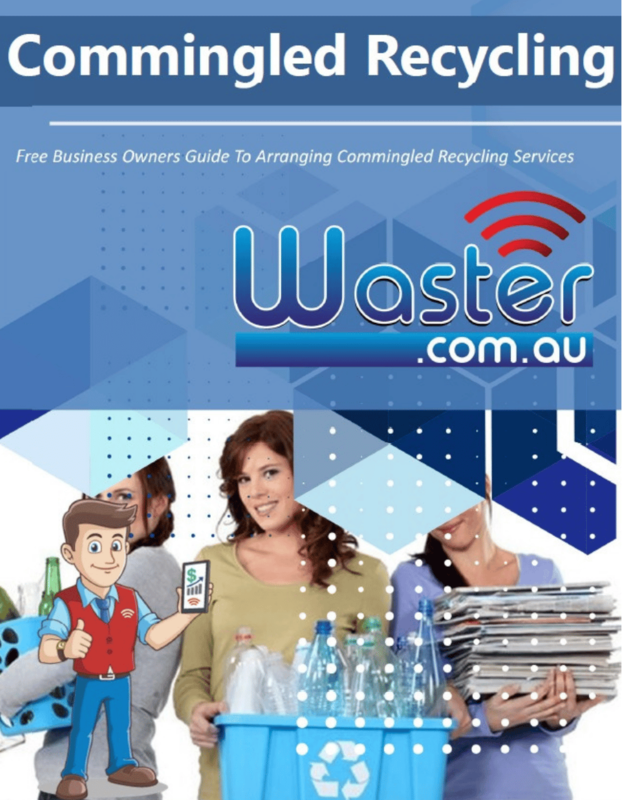 Get your free PDF download covering everything a smart business owner or manager needs to know before booking commingled recycling / container recycling bins. Learn to spot common mistakes - and also know the questions you should ask any supplier! Waster is fundamentally different to other commingled recycling or waste management companies in a number of ways. We are focused exclusively on small and medium companies – so we know exactly the types of challenges you face and the business objectives that you have. We offer all waste and recycling services available in the Australian market (not just commingled recycling bins for bottles, cans and containers) – the type of services that were previously only available to major multinationals and large chains. Even the smallest business can now access organics, soft plastic as well as cardboard, medical waste, confidential paper etc. We work with our clients to reduce costs – usually by boosting recycling (so you avoid landfill levies wherever possible) but also by stripping away extra and unwelcome charges such as rentals, site fees, environmental fees etc. – the list goes on and on! Whether you are a brand new startup – or have been in business a long time – we can help you save money, help the environment and improve your flexibility. We look for ways to keep your costs low -whether it is adding a new recycling service – or changing bin sizes or service days. We help many businesses like cafes, restaurants and others with sanitary services, confidential paper bins and of course general waste also! WARNING: Before you book your commingled recycling or mixed recycling bins with Waster – think do you have other waste management and recycling services with different providers that we can help you with today. Nearly every company has general waste bins (the red bin), other recycling bins such as paper and cardboard or organic food waste bin services. Whether you are a busy cafe or a CBD office – you will likely require additional waste and recycling services. If you have many different companies providing various services – you are likely paying way too much – and can save money today! At Waster – we work with small and medium companies to boost their recycling and reduce their total costs for waste management and recycling. Ask us for a quote for your other services also. 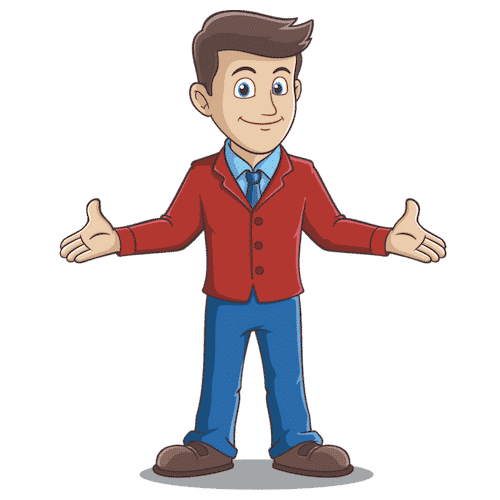 By bundling your various services with Waster – we are able to offer further discounts on our already low service charges – sometimes as much as 20% additional discounts.